Think the back to school deals are over? 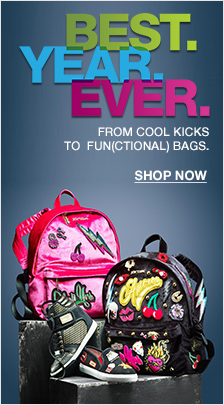 Think again, because right now at Macy’s, you can actually find backpacks for under $12. Technically, backpacks are priced as low as $14.99, but with the promo code FRESH, you can take an extra 25% off, making them under $12. Jansport backpacks, like the Superbreak Ombré Dot Backpack, are regularly $35.99, but are only $26.99 after the additional 25% off with discount code FRESH. There are almost 400 backpacks on sale right now – from classic black to trendy patches – and you don’t have to be going back to school to take advantage of this backpack sale at Macy’s. In fact, you won’t only find practical backpacks on sale, but stylish purse-style backpacks too, including styles in materials from nylon to leather and from designers such as DKNY, Kipling & Michael Kors. Just like assignments have a deadline, so does this sale: this additional discount is only good through this Friday.